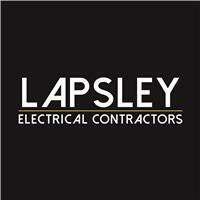 Lapsley Electrical Contractors Ltd - Electrician based in Epsom, Surrey. Welcome to Lapsley Electrical Contractors Ltd.
We pride ourselves on our prompt, honest and reliable service across London and Surrey. Our friendly and proffessional team ensure all work undertaken is to the highest level. We are proud members of the NICEIC approved contractor scheme and all of our work is covered by full liability insurance. All quotations provided are FREE of charge, and we are more than happy to offer any advice needed. Thank you for taking the time to look at our page and we look forward to receiving your call.